The logo of Deutsche Bank is seen at its headquarters ahead of the bank's annual general meeting in Frankfurt, Germany May 18, 2017. Deutsche Bank's management board members received their first bonuses in four years, according to the bank's annual report published on 22 March. 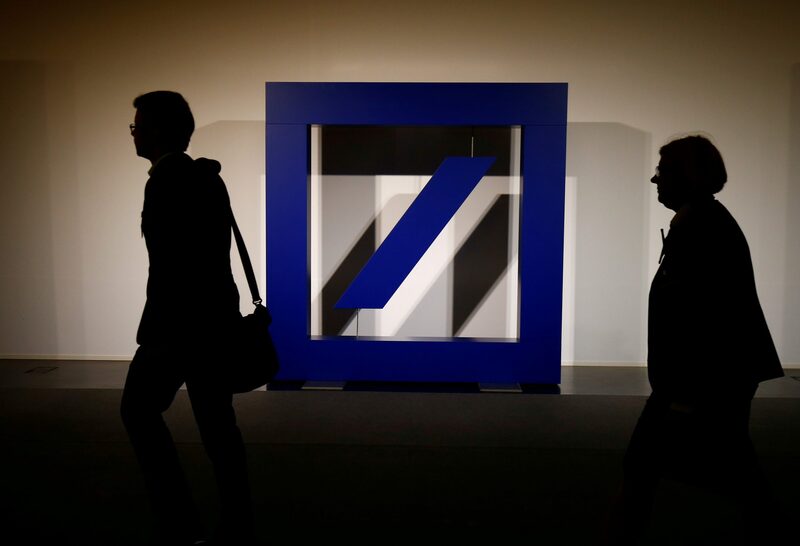 The management board received total pay, including bonuses, of 55.7 million euros in 2018, up from 29.8 million euros a year earlier, Deutsche Bank's annual report said. The bank's bonus pool for 2018 was 1.9 billion euros, down 14 percent from 2.3 billion euros a year earlier. The decline was partly due to a reduction in headcount, Reuters reported on March 22, quoting the bank. Litigation costs are expected to be "significantly higher" in 2019 than in 2018, the bank also said in the report. Deutsche Bank is talking to rival Commerzbank about a proposed merger, which trade unions have said could result in big job cuts. Shares in Deutsche Bank were flat at 7.43 euros by 0958 GMT on March 22.